Talk is growing in the United States of the possibility of using military strikes to take out North Korea’s nuclear and missile capabilities after the North’s leader, Kim Jong-un, threatened he’s close to testing a long-range missile apparently capable of hitting the U.S.
Kim said in his New Year’s Day address that the communist nation has reached the final stage of preparations to test-launch an intercontinental ballistic missile. The remark was seen as a thinly veiled threat that Pyongyang is close to developing a nuclear-tipped missile capable of striking the continental U.S. The threat appears to have stoked genuine fears of security among Americans, with reporters bombarding the Defense Department with questions of what the U.S. is going to do about the North’s missile, including whether it’s going to shoot it down or even launch a preemptive strike before it’s fired. On Wednesday, a private intelligence analysis firm, Stratfor, even laid out a list of potential targets in North Korea, including the Yongbyon nuclear complex, home to the North’s plutonium-producing reactor and reprocessing facility. 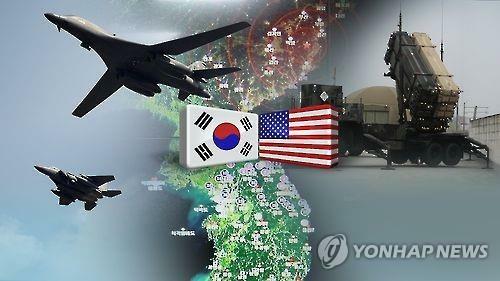 Potential targets in the minimalist strike include the Yongbyon complex, including the 5-megawatt nuclear reactor and the reprocessing plant, as well as the Pyongsan uranium mine that provides fuel for the reactor, and the Pyongsong nuclear research and development facility, known as the North’s « Silicon Valley, » Stratfor said. « These facilities form the heart of North Korean nuclear production infrastructure. If they were destroyed or disabled, the North Korean nuclear production network would be crippled, set back years at least, » it said. Military strikes « would be a wild gamble, especially with the Seoul-Inchon region — South Korea’s commercial, political and population heart — so close to the border. 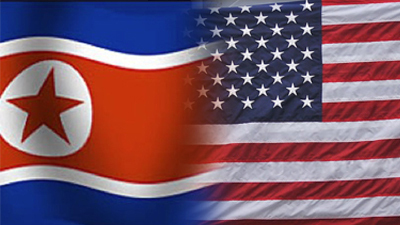 Although the DPRK would lose any war, it could cause horrendous casualties before succumbing, » said Doug Bandow, a senior fellow at the Cato Institute and a former special assistant to President Ronald Reagan. « Yet the great achievement of America’s military presence for the past six decades has been to prevent precisely such a conflict from occurring, » he said in a recent piece carried by the National Interest. Jeffrey Lewis, an expert on North Korea’s military, was also quoted by Reuters as questioning whether U.S. missile defenses could shoot down a test missile, saying destroying North Korea’s nuclear and missile programs would be a huge and risky undertaking. Lewis, director of the East Asia Nonproliferation Program at the James Martin Center for Nonproliferation Studies (CNS), was also quoted as saying that the North’s main nuclear and missile test sites were on different sides of the country, and an ICBM can be launched from anywhere in the country because it’s mobile. « While everyone says North Korea is at the top of the U.S. foreign policy agenda, other than strengthening deterrence, imposing tough sanctions that remove North Korea from the international financial system, there is little the U.S. can do in the near-term that does not risk a war, thousands of U.S. and hundreds of thousands of South Korean deaths, » he said.